The mock test is the best way to prepare for the IELTS Exam. It will help you to familiarize with the question type used in the exam. If you know the different question type used in the IELTS Exam it will definitely help you manage your time accordingly. Also when you know the format, you know what kinds of questions are expected you are likely to be more relaxed. It will help you stay focused on answering the questions rather than stressing about the no of questions and time left. So practice is the key! 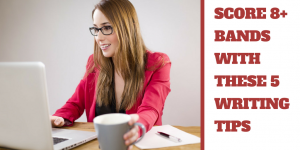 There is a number of websites and content available on the internet, confusing students furthermore but which one is the reliable source, the best and the easiest way to practice? We are here for rescue! The first 3 websites are the official websites that will give you an insight of the IELTS Exam. It will help you prepare for the examination. Simple, user-friendly, easy access and a lot of information. Your final destination for all the information you need on IELTS Exam. This will give you access to the resources, important websites, latest developments, IELTS Coaching, Tips and Tricks, Useful material for exam preparation, Counseling, format familiarization, offers IELTS coaching programs, best IELTS Trainers, links to various useful websites, blogs, YouTube channels for IELTS Exam preparation. Your one site for everything you need to know about IELTS Exam. This site helps you to achieve the desired band in IELTS Exam. 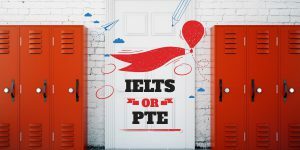 British Council, IDP, Cambridge English Language Assessment and IELTS Australia jointly owns Ielts. Free resources are available on the British Council site. The free online course is also provided to prepare for the IELTS Exam. There are various online games that help you learn new words and improve your vocab. You will also have access to podcast and magazines. Also, all the exam details and information are provided online. IDP education is co-owner of Ielts. Gives you relevant information on IELTS Exam dates, Booking IELTS test, FAQ, Preparations. There are videos from Ielts student who scored top marks sharing their experience, views, and advice. 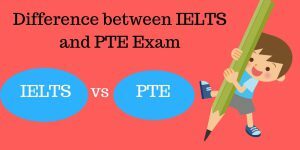 The Big Question: IELTS or PTE? Nextworld Education is the premier overseas education consultants that offer the best-in-its-class personalized guidance and counseling to students who wish to Study Abroad. We are one of the Top IELTS, TOEFL & PTE Coaching Centre in Delhi. How to Speak Fluently Without Spending Time in Processing Your Thoughts?